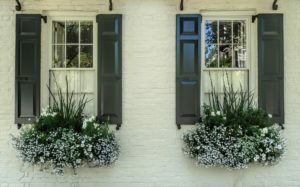 When it comes to window box planting, there is a rule of thumb that many are aware of; it’s known as the “thriller, filler, and spiller” rule, which gives the window box a balanced, beautiful design. 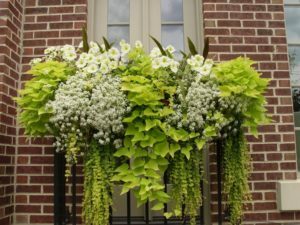 Cascading flowers for window boxes, the “spillers” of the triune, are called such because they “spill out” of the window box in a glorious tumble of greenery. 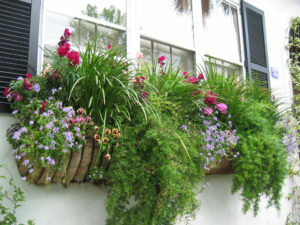 Be sure to plant them consistently to get a well-balanced window box. Done right, a window box overflowing with green goodness adds color, texture, and life to your home. Which spillers would look good with the thrillers and fillers I’ve chosen? Think complementing colors (like coral and lime green) and adding textural interest. Are my window boxes going to be mostly in sun, shade, or a balance of both? Do I want to switch out my spiller with the new season, or do I want a spiller that blooms year round? Do I want a green or flowering plant? 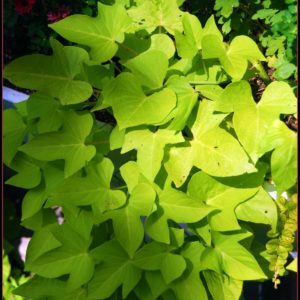 Sweet potato vine is a great, tried-and-true spiller, but it easily overtakes a window box and all the other plants in it. 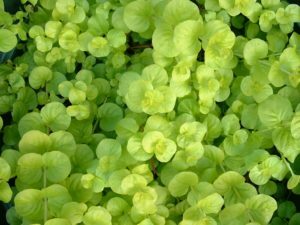 Keep it trimmed back, or plant Creeping Jenny instead to get the same trailing green vine effect, but without the aggressive growth. When deciding on a spiller, check out your local nursery and peruse their potted plant arrangements to see which spillers will grow (and look) best with other plants. Find an arrangement you’d like to copy, and make a note of the plants used to create the same look! When choosing the amount of plants to plant for your window boxes, use the “rule of thirds” design rule, which posits that we visually break up a space into thirds. 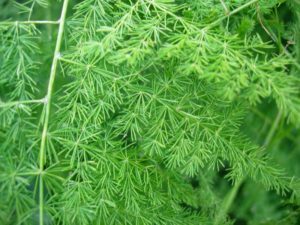 Selecting an odd plant number (three, five, seven, etc. ), with a third of the plants being spillers. This will make the overall arrangement more visually appealing. Fire up your window box imagination with these inspiring photos on our Window Box Inspiration Board! If you don’t want to mess with maintaining live plants in your window box, try some of our outdoor-rated artificial flowers and plants. 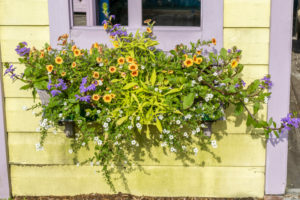 For example, try adding Artificial Morning Glories to your window boxes for fade-free blooms all year ’round (and with their natural look, no one will ever know they’re not real!) 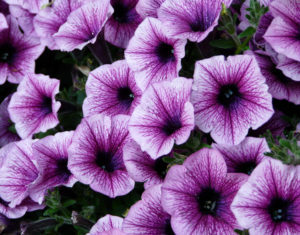 Choose from pink, red, white, yellow, and purple flowers. 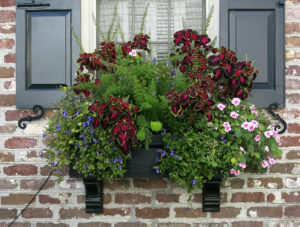 Keep your window boxes from damage and rot with a long lasting and durable planter liner. If you travel a lot or simply don’t want to spend a lot of time watering your plants, add a water reservoir to your window box; it will keep the soil evenly moist for up to two weeks at a time (and about one week in hot summer months)! 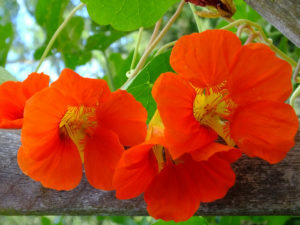 If you don’t have a green thumb, consider these hard-to-kill plants when choosing what to use in your window boxes. 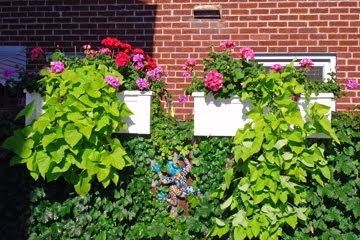 Whatever stage your window box gardens are in—designing, planting, or replanting—we can help you with it all! For questions or orders, visit us at www.HooksandLattice.com or call us toll-free at 1-800-896-0978. 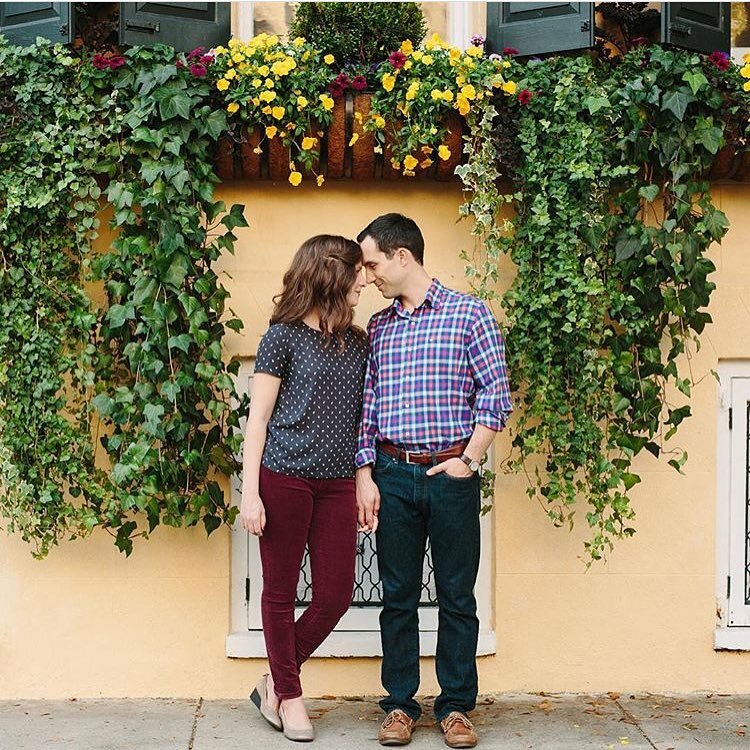 Photo credits (top to bottom, left to right): @wildcottonphoto, Hooks and Lattice, Nourish and Nestle, Michael Sprague, Spencer Means, Terence Faircloth, Deborah Silver, Kevin, Judy Van Der Velden, Paige Filler, BriarCraft, and Karen DeSanno. Blog featured image: Spencer Means. These tips are great! I am saving this for the spring. Window boxes will make a huge difference but we definitely have varying light depending on what area of our house.